Home » windows 7 » One best thing of windows 7 ! One best thing of windows 7 ! Have you ever heard about using a pen drive as a RAM ? Windows 7 is having an option named "readyboost". 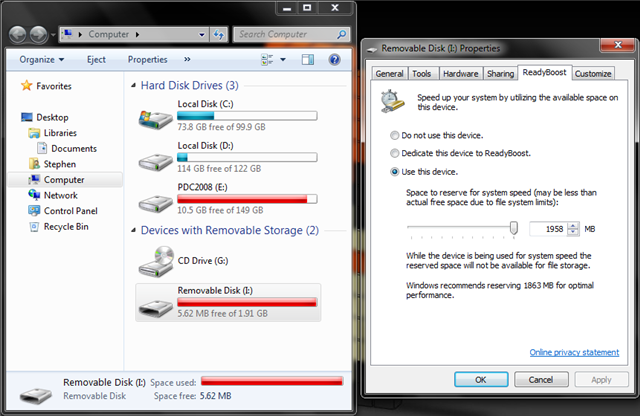 by clicking on properties of a pen drive you can find this option. select use this device and click apply. 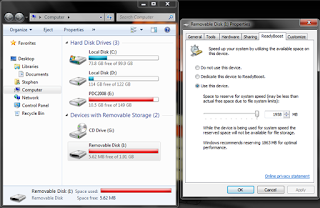 if it's not working just format your pen drive as a different file format like exFAT file system. so enjoy.... have a nice day.